We all know the scarf. Some of us have knitted, or had knitted for us, the scarf. This week we take a look at the Doctor inside the scarf. 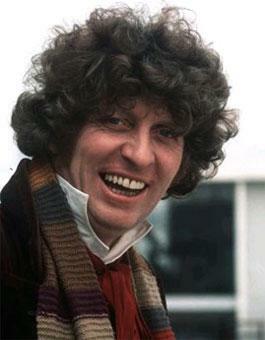 The Fourth Doctor was with us for seven seasons and gave us some of the best stories. Join us for our celebration of the most iconic Doctor of them all! We're in the Miniscope this week, watching the Doctor and Jo muck about on a circuit board, battle a Drashig and shut down some gray bureaucrats. 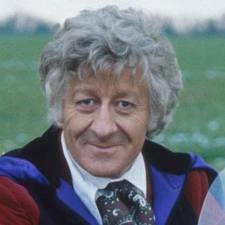 It's our look at the Third Doctor's story "Carnival of Monsters" as we continue our road trip to the 50th Anniversary. Venusian Aikido. Capes and frilly shirts. U.N.I.T. and the Brigadier. The Third Doctor brought us all this and more in living color. This week is mostly all about this velvet clad, scientific advisor. Straingly, tho, Peter Capaldi keeps creeping into our conversation. Little pointy robots and weird shoulder pads, the Dominators were a force to be reckoned with. The week we discuss the Second Doctor episode "The Dominators". WARNING: Big announcement reported. Skip the news if you don't want to know.